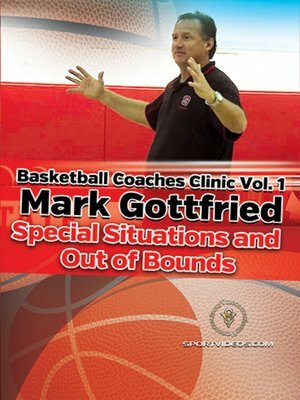 Coach Mark Gottfried demonstrates several out of bounds plays from under your own basket. These quick hitters will help your team have several options for a high percentage shot. The next part of the video is sideline inbounds plays. Gottfried demonstrates basic sideout and corner action. The next segment is full court inbounds play for late game situations. Gottfried emphasizes the details of getting open, making a good pass and taking a good shot. The three and six second drills are used to prepare the team to make key baskets under pressure. PLEASE NOTE - ALLOW 24 HOURS FOR THE DOWNLOAD LINK TO BE SENT TO YOUR E-MAIL ADDRESS. IT WILL BE SENT WITH A DROPBOX OR GOOGLE DRIVE LINK.